Risk management, when implemented as part of the organizational culture, helps to reduce an organization’s exposure to imminent threats and better prepare for them. 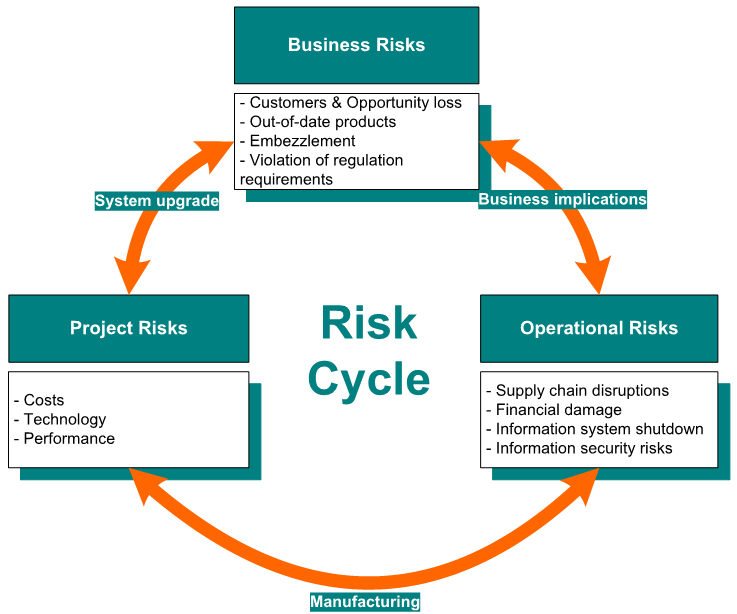 Comprehensive risk management is done layers, with a different emphasis in each layer: project risks, operational risks, information security risks, business risk, etc. Establishment of risk management committees at various levels of the organization. Definition of criteria for “flagging” risks that require urgent attention. Risk assessment file, organized by layers, which include a description of the risk and a plan for reducing the risk for its occurrence and for mitigating it once it has, which also addresses contingent risks. An emergency staging plan, based on the risk assessment. An evaluation of risk management tools, using a structured methodology, offered as part of the MethodTools kit to match the tool optimally to the client’s requirements. Establishing the Risk Management Officer function to assist in the organization’s on-going risk management. This system facilitates identification of key organizational risks - business, project, and operational risks – effectively and within a short time frame, while minimizing the cost-benefit ratio. Identification of risks according to a tagging list of common project risks. Risk evaluation and definition of handling procedures, including status management of handling activities. A graphic visualization of the risk status and trends for control and monitoring purposes. This tool supports risk management for a small or medium business. What makes the tool unique is its ability to manage a number of types of risks that may affect the system during its lifecycle. The user identifies the risks using predefined reference lists, and can evaluate them based on their severity and probability of occurring. Each risk can be categorized by type and consequences, and a record can be kept of preventive action and steps taken. The tool provides graphic visualization of the risk metrics, the effectiveness of risk management, and the computed risk level.